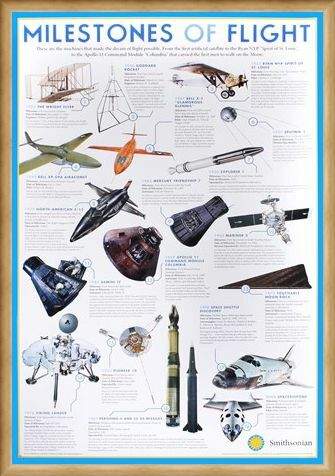 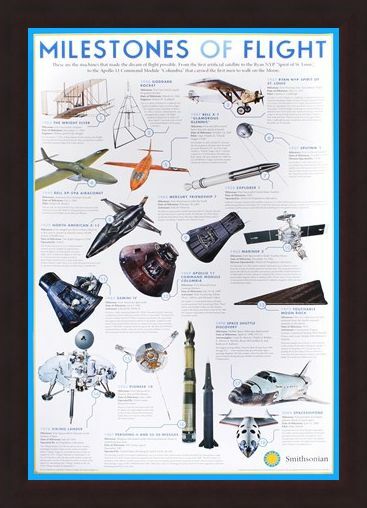 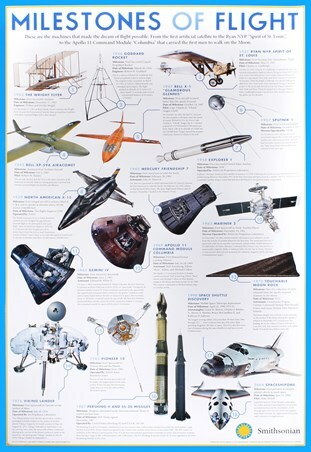 Educational Poster: This educational poster from the Smithsonian Institute shows the iconic machines that helped to make the dream of flight possible for mankind. From the Wright Flyer in 1903 to the Spaceship One in 2004 pictures of the innovative inventions are shown alongside their milestone achievement with the date of operation and their operator or pilot. 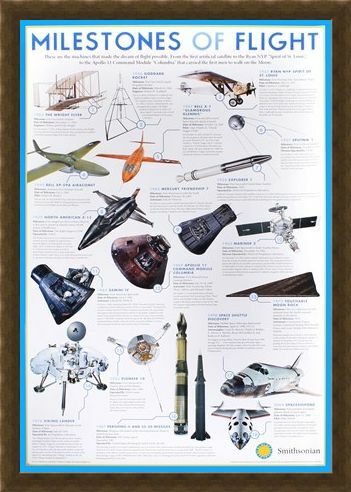 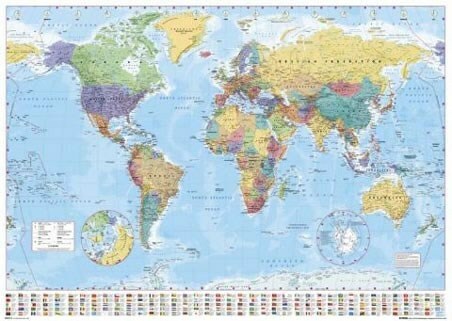 So if you want to learn about such awesome designs as Explorer I, Apollo II and the Viking Lander then this poster will help you on your way to learn the milestones of flight. 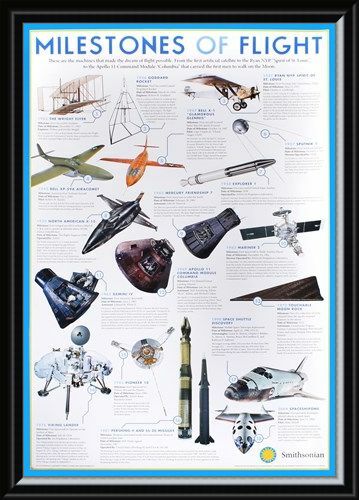 High quality, framed Milestones Of Flight, The Smithsonian Institute poster with a bespoke frame by our custom framing service.